Don’t get me wrong: I’d love a new Rolls or Bentley, but would be just as or more happy with the Mercedes AMG Wagon I talked about a while back (saw a nice one the other day and missed it.. Those are definitely calling to me). The new ones still have presence if for no other reason that sheer size, but then they are now expanding the ranges to accommodate lower entry points to ownership, and underneath a fair bit of the engineering is shared with the likes of BMW’s 7-series and the VW Phaeton. This car, on the other hand, shares its engineering with the previous generation – the Rolls-Royce Silver Shadow and Bentley T2. 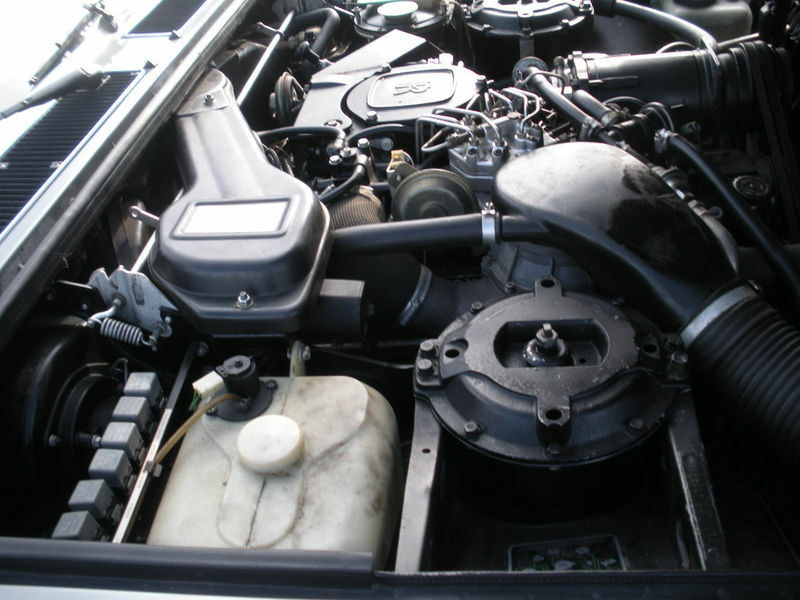 Rolls took solid underpinnings and the durable 6.75 liter motor from the older cars, enhanced them with a little bit of new technology (particularly in the self-leveling hydraulic suspension) and a new body, and voila – a new Rolls for the 1980s and 1990s! 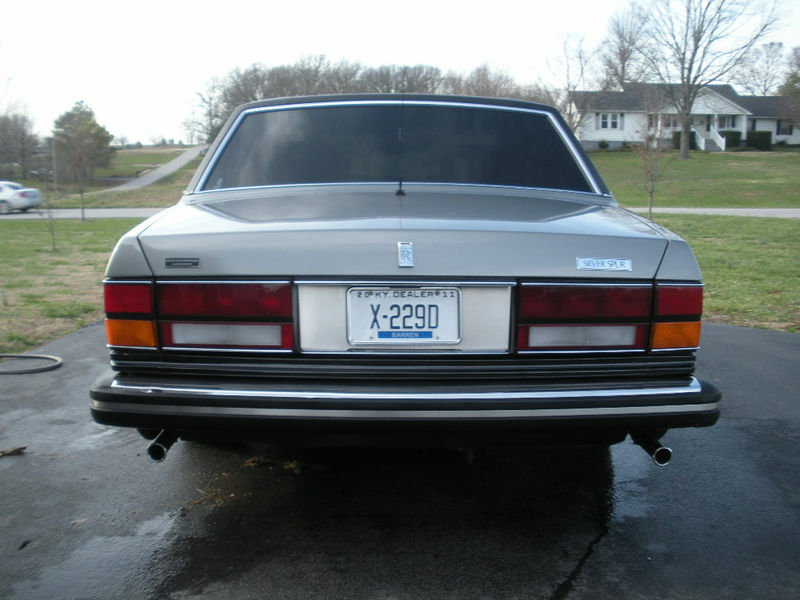 The Silver Spur was the long-wheelbase Rolls-Royce version of the car. Released in 1980, these cars were built in varying versions through 1998. At 6238 made from 1980 through 1989, production of the Silver Spur was a couple of thousand less than the Silver Spirit, but far more than any other version of the Rolls. 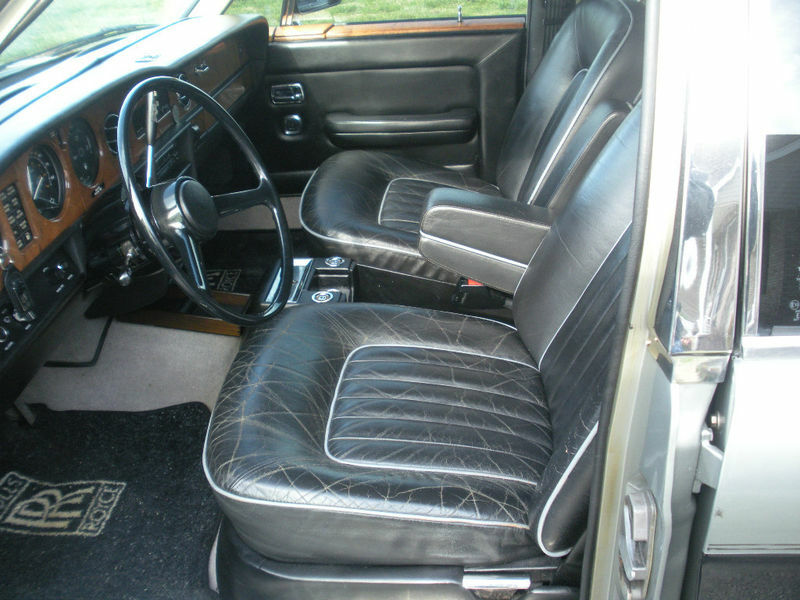 Inside, anyone familiar with the Silver Shadow will be right at home, but with some upgrades to things like seat switches, air conditioning, and the radio has been upgraded with something a little more modern. Still, the driving position is high, and there is room for all kinds of mischief in the back seat of the long-wheelbase version. 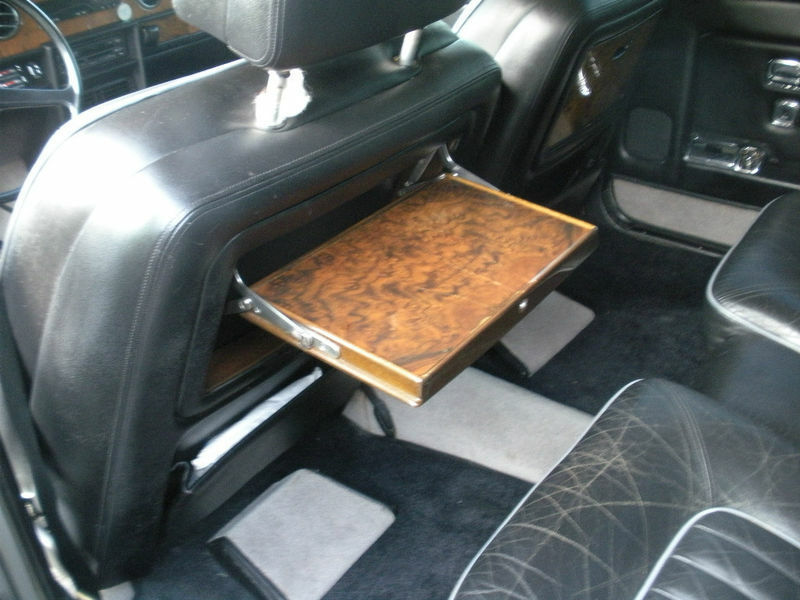 I am particularly fond of the folding wood tray tables, and could totally see my kids using those on long highway trips. On the outside, the color combination is attractive, but this car longs for the proper rectangular European headlights in place of the quad sealed-beam U.S. spec lights that would be more at home on an old Cadillac Fleetwood. A little leatherique would go a long way in this interior. It has a nice patina to the leather, but the cracking is something of a turn-off. Everything else looks to be in good, serviceable condition. The seller doesn’t say much about the car, although in the Q&A section at the bottom of the listing he indicates that the service book conveys and is stamped up-to-date. The key things to look for are rust, functioning suspension, and condition of the brakes. The transmission is GM, and problems with that do happen, but are generally fairly simple and can be managed by your local AAMCO. The motors, however, are all Rolls-Royce, and problems there can be crippling. That said, development of the L410 V8 in this car began in the early 1950s, and continued right through the Volkswagen acquisition (VW got Bentley and all of the automotive manufacturing assets, BMW got the Rolls-Royce name.. For cars only), so suffice it to say that after 30-odd years of development a lot of the bugs were worked through. They are thirsty, but reliable if taken care of. 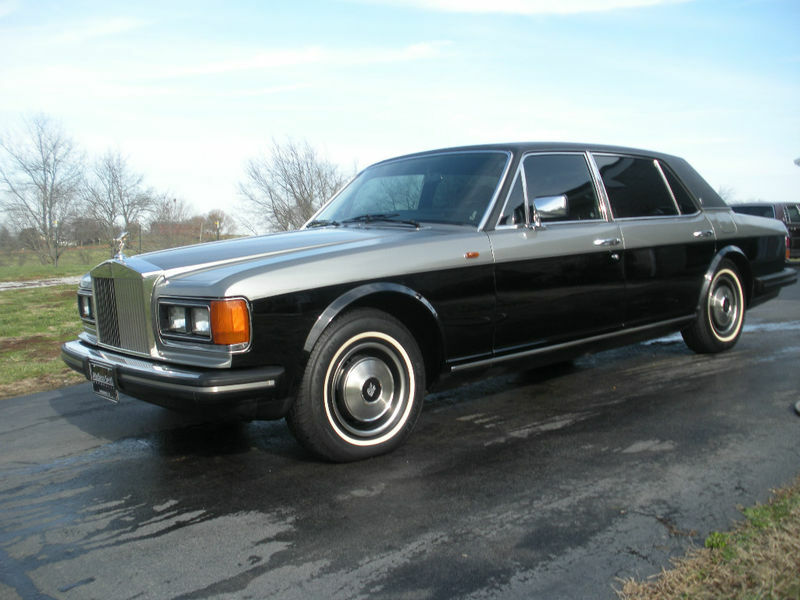 I am consistently amazed that cars like these handbuilt Rolls-Royces can be bought for less than a used Honda Civic. Certainly the experiences are night and day different, but where the Civic will lose substantial additional value over time, this Rolls should be near or at the bottom of its depreciation curve – expenses then focused on the maintenance side of the equation where the Civic will be far kinder. Still, nothing makes quite the same statement that a Rolls does, and despite the way they look in the pictures, these cars are about 1/3 bigger than anything else on the road. Competitors like the Mercedes W126 560SEL are probably better cars strictly from an engineering standpoint, much in the same way that the new cars from Rolls and Bentley are superior cars to just about everything. But as we all know, perfection in things automotive can take away from the charm and character that can make these cars and the ownership experience so engaging. This entry was posted on Thursday, December 29th, 2011 at 7:45 AM	and tagged with Bentley, BMW 750Li, Crewe, Dallas, England, Howard Keel, L410, Mercedes 560SEL, Rolls-Royce, Silver Dawn, Silver Shadow, Silver Spirit, Silver Spur, Turbo R, Volkswagen Phaeton and posted in Totally That Stupid. You can follow any responses to this entry through the RSS 2.0 feed. « 1985 Honda Accord Hatchback: Love the 1980s? Have I got a car for you!! There was one of these at the convenience store parked next to me a couple weeks ago. In the snow. Bona-fide cigar smoking aristocrat jumps out and runs in for, presumably, more cigars. Think they may trade for a red Ferrari Mondial? I dunno, Brandon… Maybe if the heater worked….? Always wanted to get something like this and put a Dodge/Mercedes/Freightliner Sprinter drivetrain in it. Think about it.. A Roller with 25 MPG.